Robert Forto grew up in a military family. He attended elementary school in North Carolina, attended junior high school in the Washington D.C. suburbs and graduated high school in Virginia. Robert played lacrosse and football and was a very good student. The military brought the family to Oregon in 1989. Robert enrolled in Portland State University to study veterinary medicine where he earned his B.S. degree. Robert is also a gifted musician and played guitar, bass, vocals and drums in a rock band, Rainmaker with his college pals. His band was ready to sign a record deal with a major label but his buddies were not ready to commit. Robert soon bought his first Siberian Husky, Axl, and began competing in obedience and conformation trails. As a college project he conducted a wolf migration study. His thirst for adventure encouraged him to strike out, moving to Duluth, Minnesota and opening a 30-dog Siberian Husky racing kennel. Robert raced his sled dogs all over North America before life took yet another turn and he went back to school to earn is Master of Business Administration degree and then on to a doctorate in Communication and completing his dissertation: Chasing the Dream: A Study of the history of Human-Canine Communication in the Sport of Dog Sledding. After completing his dissertation he followed his wife’s paralegal career to Colorado and he opened Denver Dog Works in 2006. Robert’s present occupation is kennel owner and dog racer. Robert began mushing in 1994 and became interested in long distance racing shortly thereafter, and plans to compete in the Iditarod in 2013. Robert is recognized by his peers and has won numerous awards for the training of dogs throughout his career including dog training excellence awards, best new business award, special needs training award, fear rehabilitation award,humane dog trainer award, society education award, and nominated for aggression and behavior therapy awards many times over. Robert especially enjoys sky diving, mountain biking, kayaking, attending hockey and lacrosse games with his three kids: Kyle, Tyler and Nicole, and recently developed a passion for hiking Colorado’s 14-ers. Robert is married to Michele, who is his partner in business and in life and helps extensively in his training season. In addition to mushing, Robert trains his German Shepherds to compete in canine sports and service work for children with autism. While Robert has been off of the dog sledding circuit for the past several years, in 2008 he regained the drive to compete again and soon undertook a comprehensive breeding and training program for his dogs, and a rigorous physical fitness program for himself. By the time Robert and his team undertake the Iditarod for the first time in 2013, they will have logged over 2000 miles of training each year. Robert is an accomplished writer and has appeared in such publications as Front and Finish, Dog World, The Rocky Mountain News and many newspapers. Robert is currently penning a book profiling his work with dogs from a balanced approach and updates his blog almost daily. Robert has conducted public appearances and speaking engagements for more than two decades. Among the topics he addressed are team building, dynamic team motivation, developing professional skills to utilize media opportunities when they occur, the value of perseverance, personal motivation, visualizing success, dog care and mushing. Robert is also an advocate for canine law and legislation, and has spoken many times as an expert witness in areas such as breed bans, dog park accessibility, landlord-tenant disputes, disability advocacy and public access for service dogs. 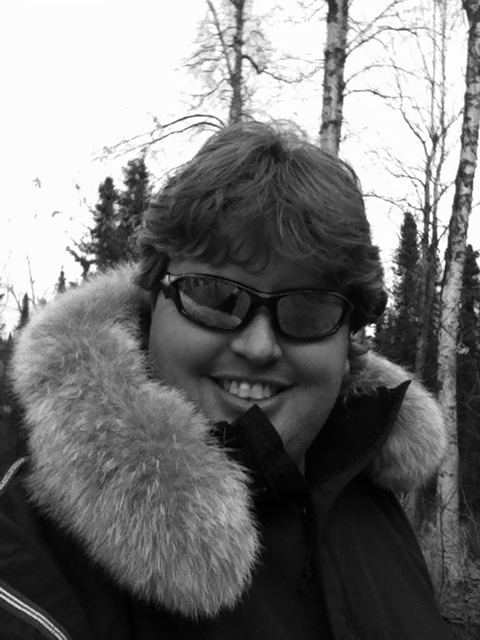 Over the years, Robert has been involved in numerous school appearances, health and wellness seminars, community education, volunteerism, corporate activities, and of course advocating the sport of dog sledding. The analogy of sled dog racing allows each audience member to personally relate to his experience and visualize their “team” which might include their boss, the office staff, the customer and the client, and numerous other individuals assisting them with surviving their storm making for an entertaining, enlightening and informative seminar. Roberts personal passion for the culture of dogs and how they have played a critical role in his life allows him to share his dream by educating people how to become certified canine obedience instructors. His school, Dog Works Training Center, not only teaches his student how to become some of the best dog trainers in the world but also competent business owners in their chosen career. Robert says, “It is all about the culture of this place that I find inspiring. We are like no other training school in the country. We truly do have the best job in the world,” speaking of the culture he has developed around his own business and what makes him so successful. “We do have the best and train the rest,” said Robert. Currently, Robert is currently working on The Ineka Project, named after his rescued Siberian Husky, Ineka, in providing service dogs for children with autism. He is also the host of a weekly radio show, The Dog Doctor Radio Show where people all over the world call in to make comments and ask questions of Robert and other dog trainers. Robert has moved to Alaska to begin training for his first Iditarod in 2013. He will run the Knik 200 in January 2011 as his first qualifier for the Iditarod. He has also opened Alaska Dog Works and is offering canine training and behavioral consulting in the Anchorage and Valley areas. Robert has started a daily blog: The Future Home of Iditarod Dreams and he updates it almost daily. If you are interested in his quest in Alaska, his training and his (mis)adventures please check it out! Interested in inviting Robert to speak at your event? Robert is available for speaking engagements, appearances and sponsor opportunities throughout the year.